Click for printable version of the recipe. 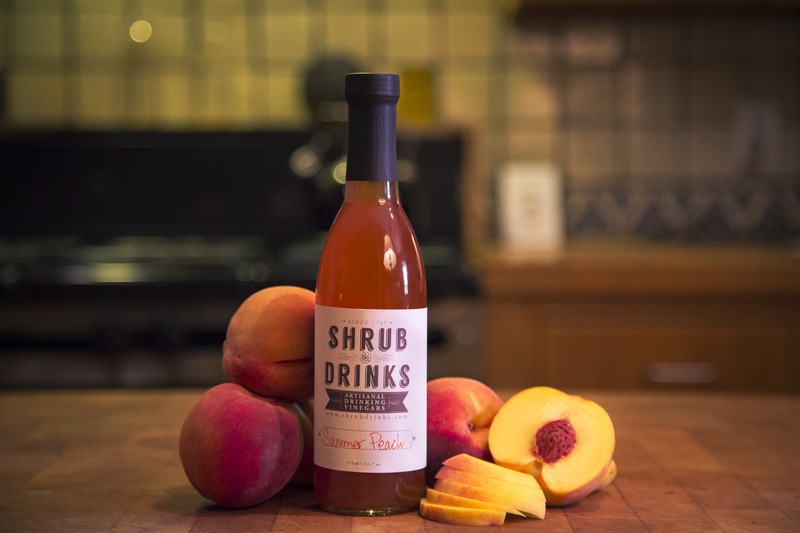 This entry was posted in Drink Recipes, Mocktails, Summer Peach. Muddle the tomatoes, and chopped cucumbers together in a cocktail shaker. Add remaining ingredients and shake with ice for 1 minute. This is important for proper dilution. Taste and adjust seasoning. Strain into salt rimmed glass. This delight can be served “up” or on the rocks – You decide! 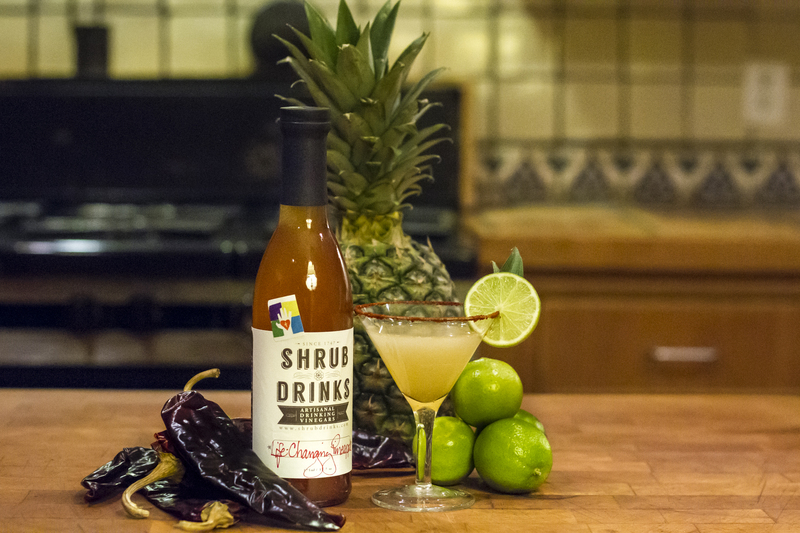 This entry was posted in Drink Recipes, Mocktails, Tomatillo Lime Serrano. Muddle the citrus segments in a cocktail shaker. 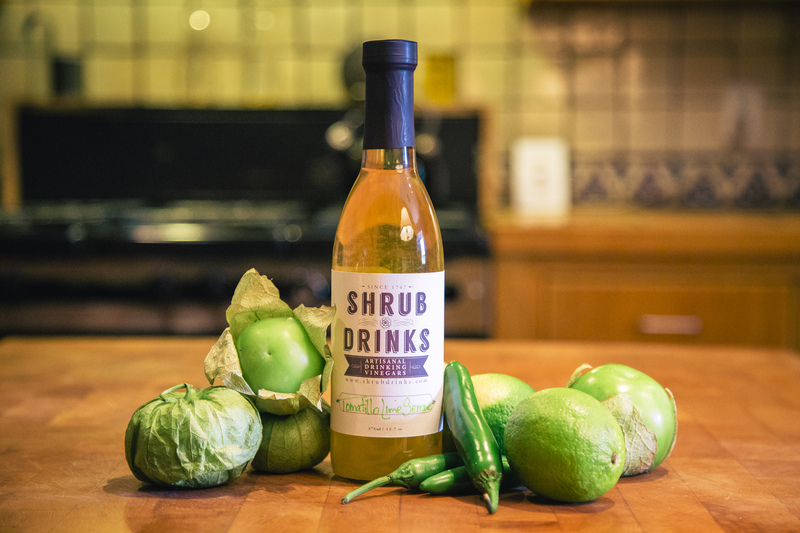 Add the Tomatillo Lime Serrano Shrub and lime juice. Add ice to the shaker and shake well. Strain over ice into an old fashioned glass, and top off with club soda or seltzer. Serve and sip this great summer cooler to your heart’s content! Combine ingredients in large glass pitcher, except ginger ale. Stir and let sit in refrigerator for at least 30 minutes to combine flavors Then add 16 oz of chilled Ginger Ale. Serve in a tall glass, over ice if desired. 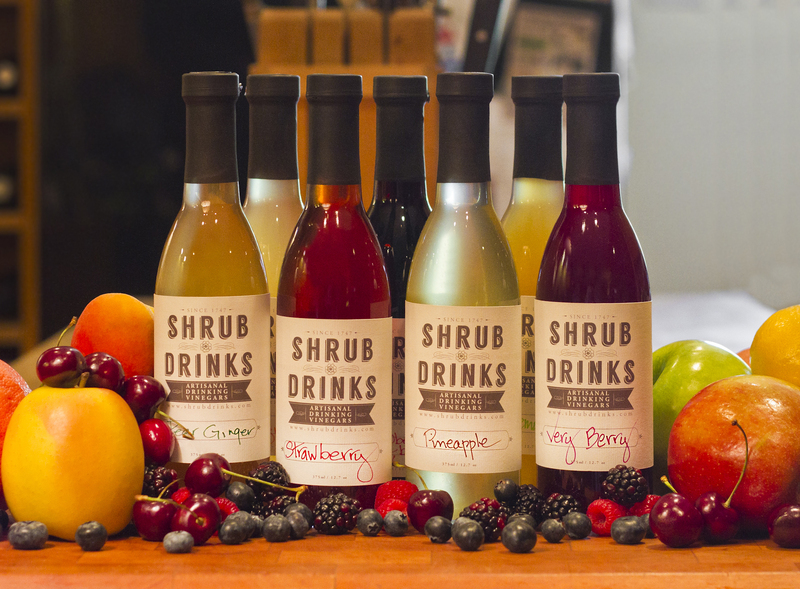 Spoon some of the fruit into the glass and enjoy! Delish! This entry was posted in Apple Lemon Ginger, Drink Recipes. In a small bowl, mix all ingredients except avocado. Just before serving carefully stir in avocado. Serve with chips or as a fresh salsa to top sautéed or grilled chicken or fish. Peel the jicama and cut into julienne sticks. Place in a bowl, and grate the peel of the lime over. Cut the zested lime in half and squeeze one half over the jicama. Finely mince the cilantro. Add it to the bowl. 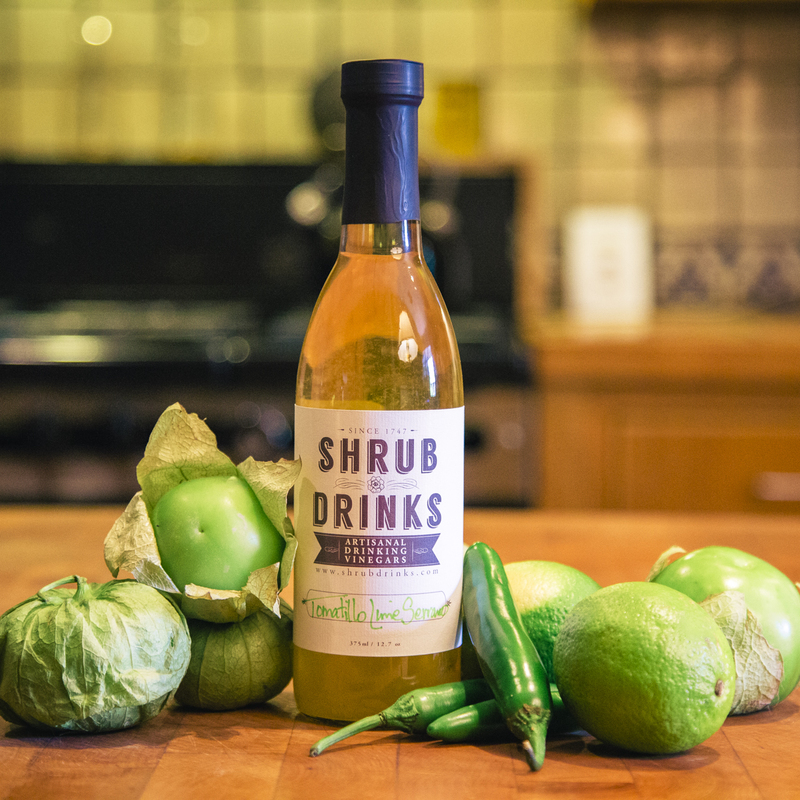 Pour the Tomatillo Lime Serrano Shrub over the ingredients in the bowl and stir to mix well. Season with kosher salt and fresh ground black pepper to taste. Refrigerate. or as a garnish for your favorite taco. In a small bowl, whisk together the Shrub, Dijon mustard and vinegar. Add salt and pepper. Dribble the olive oil in slowly while whisking, until the dressing emulsifies. Enjoy this vinaigrette on one of these suggested salads. 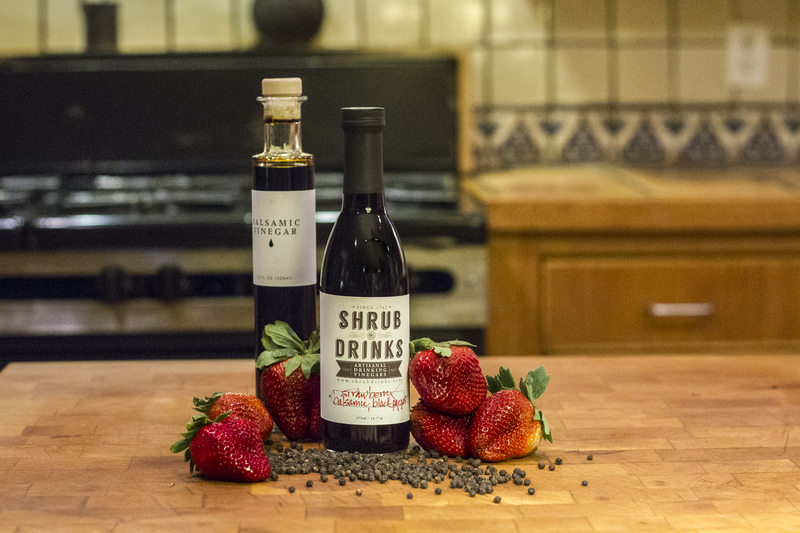 A Favorite Salad with Shrub Drinks Strawberry Balsamic Black Pepper Shrub Vinaigrette. 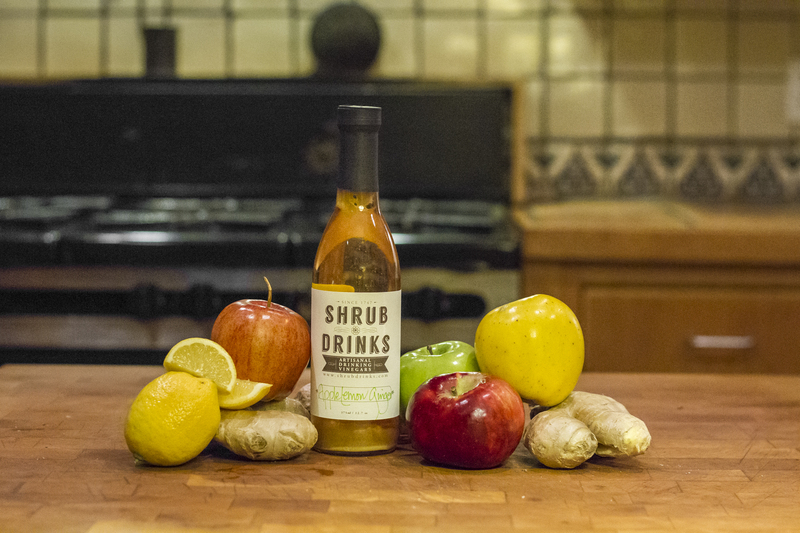 A Favorite Salad with Shrub Drinks Apple-Lemon-Ginger Shrub Vinaigrette. 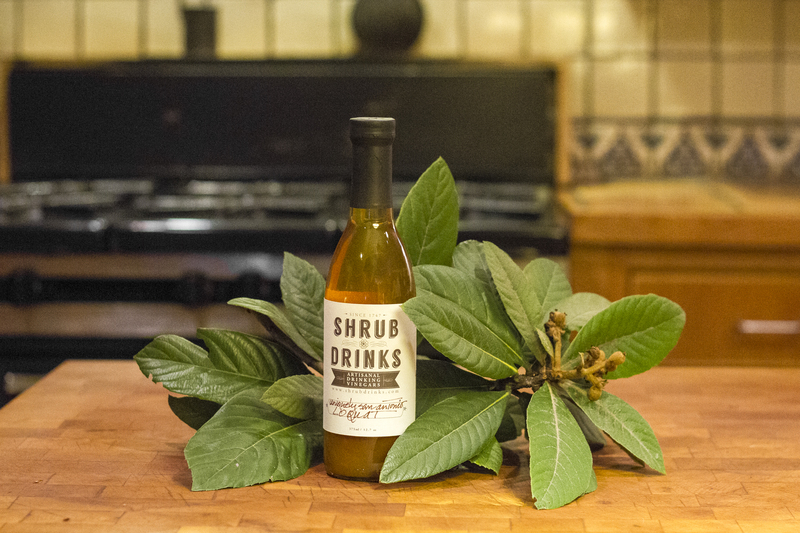 A Favorite Salad with Shrub Drinks Life Changing Pineapple Shrub Vinaigrette. Heat the oil and butter in a large saute pan over medium heat. Add the onions. Season with salt & pepper. Cook slowly over low heat about 30 minutes, stirring frequently, until the onions are soft and are beginning to brown. Add the Shrub, continue cooking until the onions are caramelized. Add a squeeze of lemon juice. Taste and adjust the seasoning. Great on grilled meat or veggies. Wonderful as a topping for baked potatoes or salad. 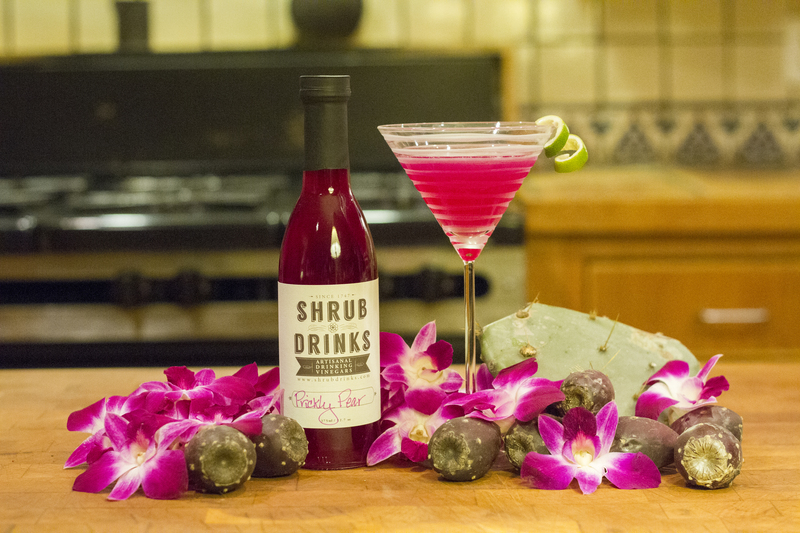 The recipe for this drink may showcase our luscious Texas Ruby Red Grapefruit flavor, but it comes to us all the way from Illinois. We’re told it was created by her friend Sara, especially for a party she hosted with our friend Margaret Stec. We hear it was a smash. Combine ingredients with ice in a cocktail shaker. Shake well. Strain into double old fashioned glass over ice and serve with a lemon twist. 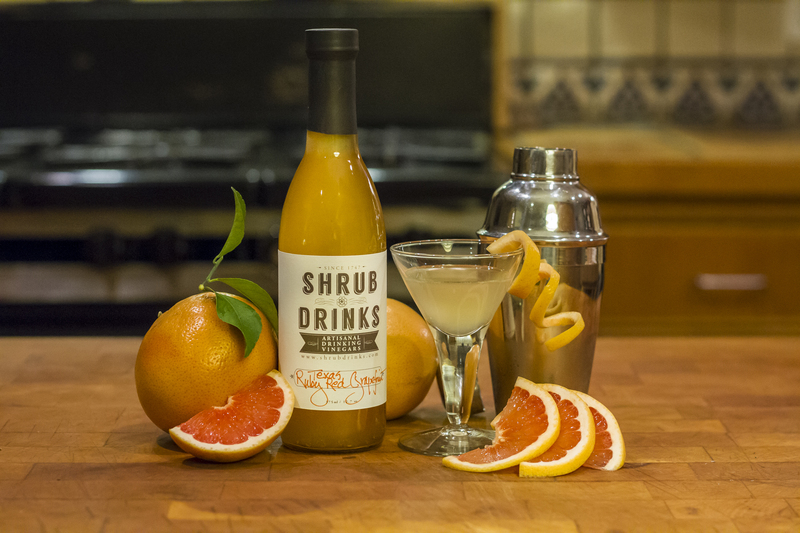 This entry was posted in Drink Recipes, Texas Ruby Grapefruit. Combine all four ingredients with ice in a cocktail shaker. Shake well. Pour into salt rimmed (optional) glass. Garnish with a slice of lime. 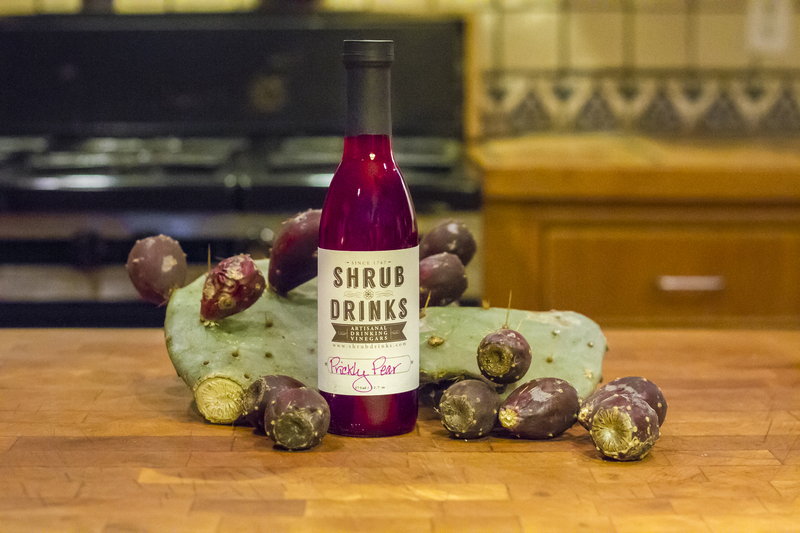 This entry was posted in Drink Recipes, Prickly Pear. In a Collins glass, combine the ingredients. Stir well. Add ice. A nice long drink. 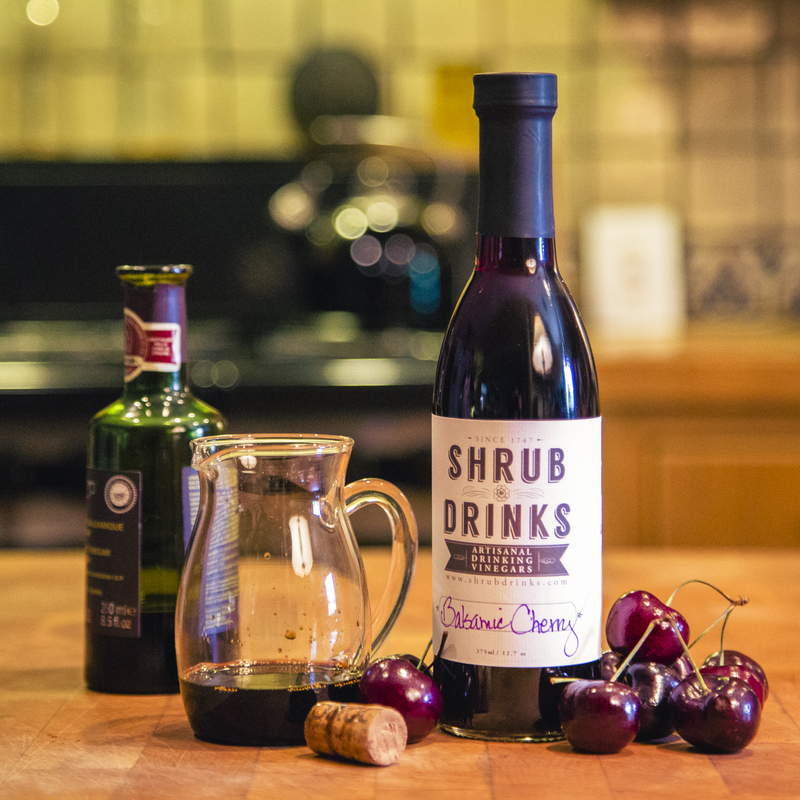 This entry was posted in Balsamic Cherry, Drink Recipes. Fill Collins glass with ice, pour rum over, add shrub – stir gently. Fill with Coca Cola. A nice long drink. Stir together a 1 to 4 mix of shrub and water in a heatproof mug. Microwave until hot. Add lemon and enjoy. 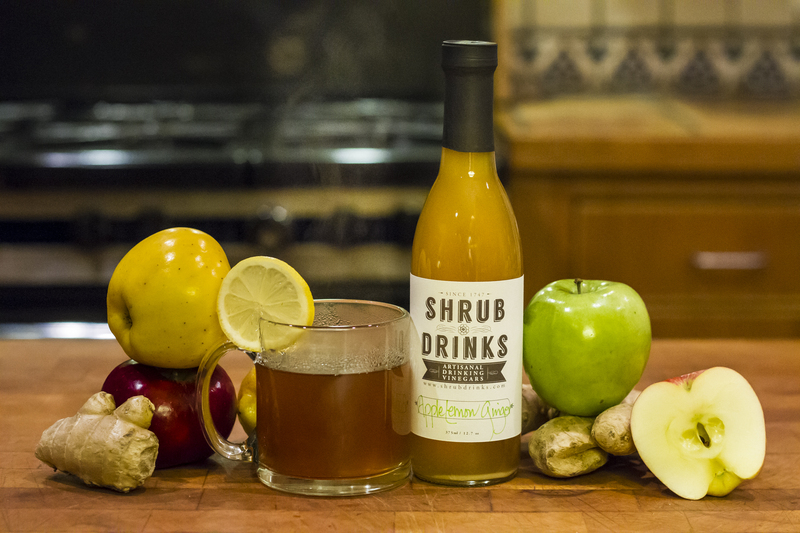 Put 2 oz of Shrub Drinks ALG into a chilled beer mug or glass. Top off with cold Hefeweizen or Pale Ale of choice and add a squeeze of fresh lemon juice. Stir and enjoy! Combine ingredients over ice in a cocktail shaker. Shake well and strain into a Martini glass. Combine ingredients in cocktail shaker with ice. Shake well (10 seconds). Pour over ice in an Old Fashioned glass. Garnish if desired. Combine the ingredients with ice in a cocktail shaker. Shake well. Strain into chilled ice filled double fashion glass. Garnish with strawberries dusted with black pepper if desired. This entry was posted in Drink Recipes, Strawberry Balsamic Black Pepper. Combine the first four ingredients with ice in a cocktail shaker. Shake well. Strain into Collins glass over ice – add bitters, bruised with mint and orange twist. 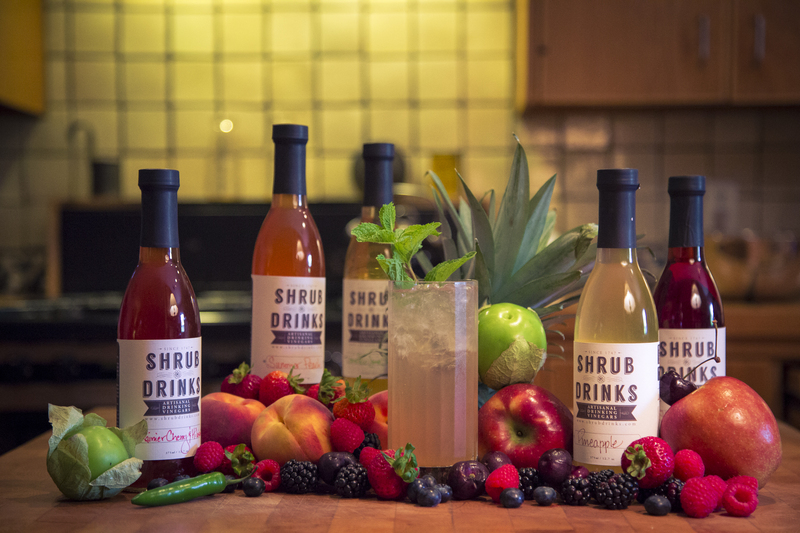 From NYC mixologist Warren Bobrow: What’s your call to action. Combine the first three ingredients with ice in a cocktail shaker. Shake well. Strain into a champagne flute. Top with your sparkler. Garnish with berries. A Tuscan twist on the classic French 75. Combine the ingredients over ice in a cocktail shaker. Shake well. Pour over ice in old fashioned glass or coupe rimmed with guajillo chile powder (optional). This entry was posted in Drink Recipes, Pineapple. Combine the first three ingredients with ice in a cocktail shaker. Shake well. Strain into champagne flute. Top with your sparkler and garnish with Berries. 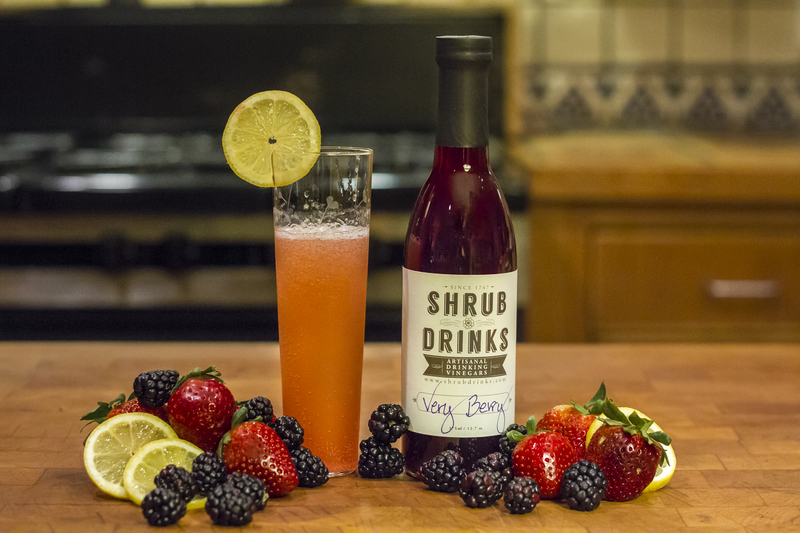 This entry was posted in Drink Recipes, Very Berry. Combine first three ingredients in a cocktail shaker with ice. Shake well and strain into chilled old fashioned class. (Big ice cube optional.) Add a bruised sprig of mint. This entry was posted in Drink Recipes, Loquat. Combine the first three ingredients in a cocktail shaker with ice. Shake well. Strain into chilled old fashioned glass. Garnish with orange wheel or swath of orange peel twisted to release oils and dropped into glass. Serve up or over ice, as you like. Click for printable version . Combine the first three ingredients in a cocktail shaker with ice. Shake well. Strain into chilled coupe or chilled old fashioned glass—over big ice, if desired. Garnish with slab of lemon peel twisted to release oils and dropped into glass.